December showed an uptick in usage of OS 7.0 which is now up to 11.4 percent. This growth however, mostly came at the expense of users of OS 6.0 which saw little to no growth. There was also no significant growth in the use of OS 5.0 in the past month. This data was taken from downloads of the popular BlackBerry strategy game Pixelated. 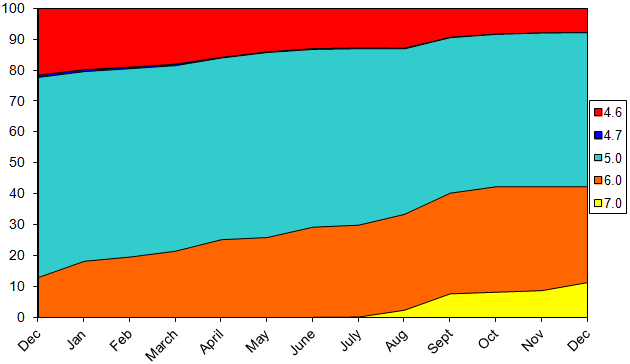 Data shown on the chart is from the beginning of December 2010 through the end of December 2011.